Freeman is a living artist working in several media in her Pittsburgh studio. Her paintings are abstractly expressive in a mid-century modern palette. 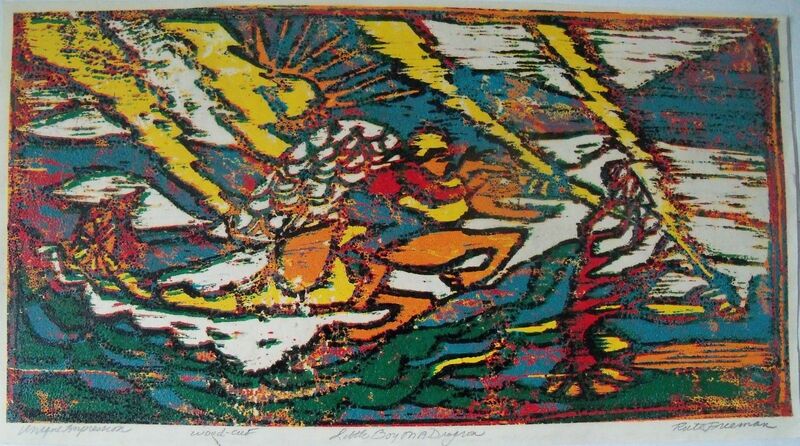 Some of those characteristics are shared in the modest yet powerful woodcut, titled “Little Boy on a Dragon.” Primary red, yellow, and blue are punctuated with secondary orange and green in a delightful dynamic composition.